North Carolina Sea Grant is co-sponsoring “Radical Transformation of Our Seas: Stories from Fisherman’s Blues” on Sept. 25. 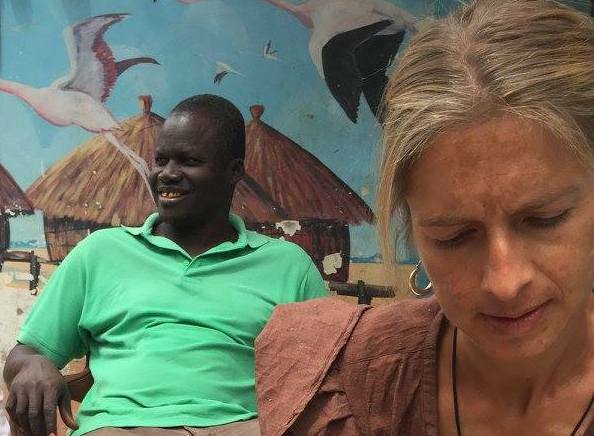 During the event, author Anna Badkhen will read from her new book, an intimate account of life in a West African fishing village. Ryan Speckman, co-founder of Locals Seafood, will join her to help compare experiences on the Atlantic’s east and west coasts. The event will take place at 7 p.m. in the Duke Energy Hall of NC State University’s Hunt Library. Jane Harrison, North Carolina Sea Grant coastal economics specialist, will moderate. She met Badkhen in Senegal while the author was immersed in a coastal village’s fishing culture. For centuries, fishermen have launched their pirogues (narrow canoes) off the Senegalese coast, where villagers tell stories about times when fish were large and plentiful. Badkhen — who has written for The New York Times, Granta, and The New Republic — often relies on full immersion in order to tell her stories. 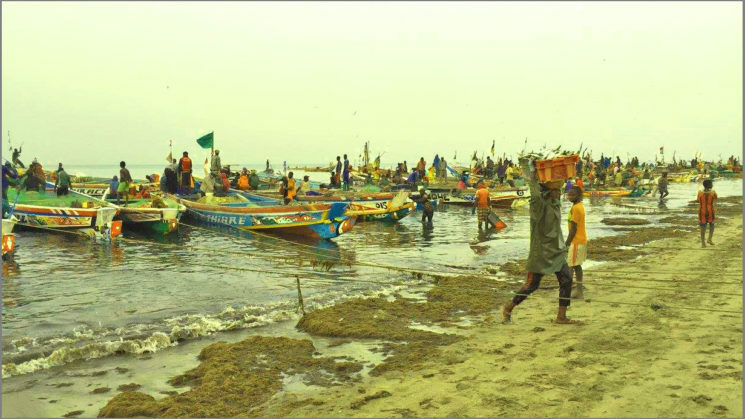 With Fishermen’s Blues, her sixth such ethnographic “deep dive,” she explores the environmental, economic and cultural upheaval that the changing ocean brings to Senegalese villagers, while also depicting their resilience. Harrison says the village perspectives that Badkhen has captured, along with Speckman’s take on the demand for locally sourced seafood from coastal N.C., will contribute to new understandings about the lives of fishers and the importance of seafood across the global community. “The audience will learn where to find the best seafood from local fisheries,” Harrison says. Her own work has informed policy for the menhaden fishing industry along the Atlantic Coast. More broadly, she also has played an integral role in developing North Carolina’s “Blue Economy” — a model for a sustainable ocean and coastal economy in which economic activity is in balance with the long-term capacity of ocean and coastal ecosystems. The NC State College of Natural Resources is co-sponsoring “Radical Transformation of Our Seas.” Mary Watzin, dean of the NC State College of Natural Resources and former director of the Lake Champlain Sea Grant program, will speak at the beginning of the event. Copies of Fisherman’s Blues will be available for purchase beforehand, and a signing and reception will follow the reading and discussion. This event is free and open to the public. Please RSVP here. More about the Blue Economy.